No matter where you live, garbage removal is an essential service. Not only is waste management important for ascetic purposes, but it is a health issue as well. Uncollected trash attracts rodents, promotes illness and causes a host of other problems. If you run a waste management company, you are providing a vital public service to the people and businesses in your area. Doing such an important job as efficiently as possible is essential. If the garbage goes uncollected for even a day, problems will quickly arise. That is why so many waste management companies are incorporating GPS fleet tracking software into all their new trucks and retrofitting their old equipment to work with the new technology. Once the GPS tracking software is in place, company managers can see exactly where each truck is on its route. They can reroute trucks as needed and choose the most efficient routes for their drivers. They can also make sure their drivers are working at maximum efficiency and that they are sticking to their assigned schedules and routes. GPS technology can help waste management companies in another important way. Construction delays and issues with roadway maintenance may seem like small problems, but having a garbage truck stuck in traffic for 5 minutes could throw off the entire route for the rest of the day. With the GPS fleet tracking software in place, company owners can use mapping technology to see problem spots and route around them. Safety is another important benefit of GPS fleet tracking software. Garbage trucks are large and unwieldy, and that makes hiring safe drivers and training them properly even more important. Fleet tracking technology allows company supervisors to make sure drivers are operating their vehicles safely and responsibly. 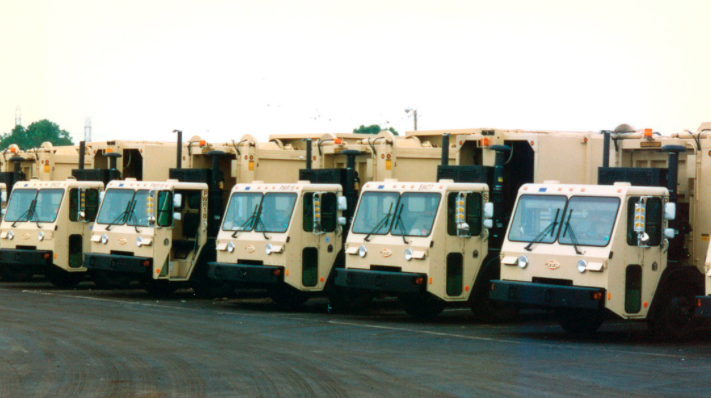 Running a waste management company is not easy, but it is important. Whether you run a small string of trucks or a statewide fleet, incorporating GPS fleet tracking software into your business can provide a host of benefits for you and your customers.